Thank you, Venture Galleries for today's feature,"River Town" on your website! Readers enjoy the sampler! In our mission to connect readers, writers, and books, Venture Galleries has launched a new series featuring writing samples from some of the best authors in the marketplace today. 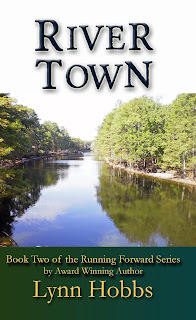 Sunday Sampler is an excerpt from River Town, a powerful faith and family saga from Lynn Hobbs. From troubled teenagers to an arrogant boss, scripture helps a woman’s journey through modern family issues. A compelling page turner that will enthrall teens, men, and women. Book two of the Running Forward Series "River Town".